Last Christmas my friends and relatives gifted me kitchen appliances and tableware. There were like four sets of cups and saucers. Lovely plates, serving trays and cookware. It reminds me of our wedding day. 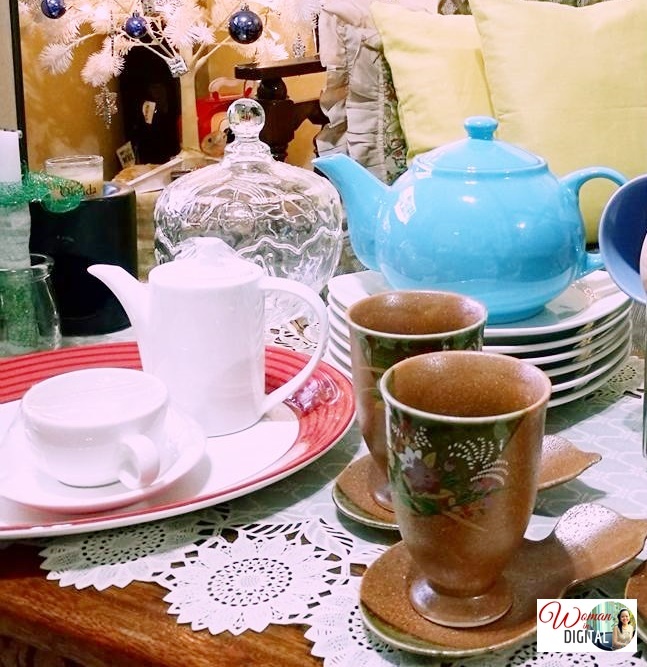 Auntie Grace gave me antique tea cups (two brown tea cups, photo above). Auntie Janet gave me a set of colorful Hosh cup and saucer as well. My friends from the Mall of Kitchen sent me a coffee set which includes a cup and sauce, tea pot and serving plate. 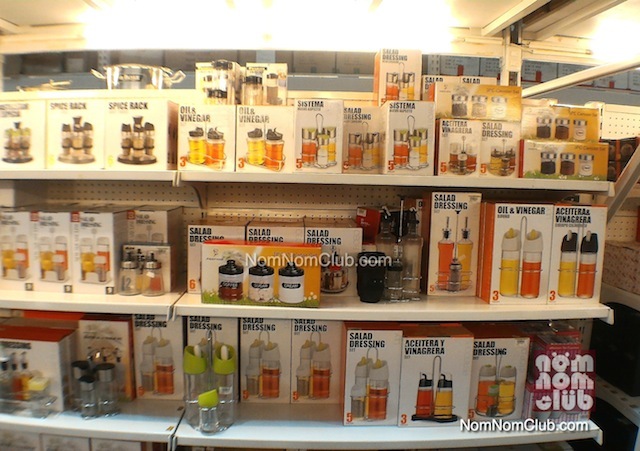 I haven't been to the Mall of Kitchen warehouse in Makati but hubby did visited the store last year. 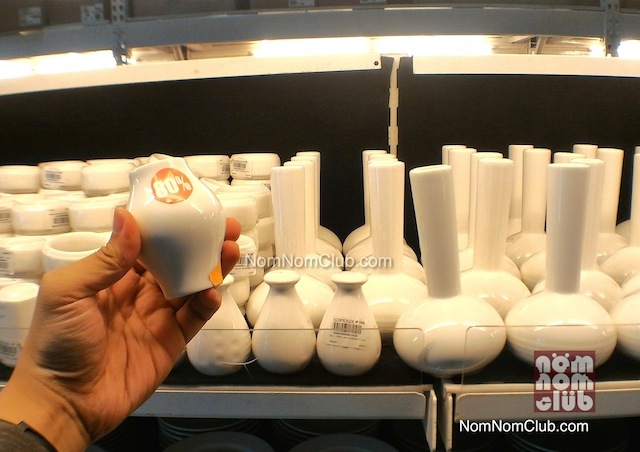 According to him, MOK was fully stocked with kitchen equipment, utensils, and food service machines. He's sure that I will like to visit the store. Recently renovated, Mall of Kitchen is now a one-stop-shop for kitchen needs for both commercial/industrial and residential use, a fully-integrated showroom and regarded as a culinary haven by many. MOK is organised by different modules for specific business formats such as cafes, bars, bakeries, restaurants, culinary schools, and practically any type of food business. The Mall of Kitchens are also conscious of the brands they carry and partner with. Some of the flagship equipment brands that can be found at MOK are Convotherm Combi Oven, Manitowoc Ice Machines, Frymaster Deep Fryers, Taylor Soft Serve Machine, Vittore Coffee Machines, Lincoln Conveyor Ovens, True Refrigeration Equipment, Vitamix Blenders, Winterhalter Dishwasher, Turbo Air Reach in chillers & Freezers, Menumaster Microwave Oven, Williams wine chillers and Kolb Deck Ovens which are top choices by hotel chefs, quick services restaurants, fast food chains, coffee shops and other businesses in the food service industry. Homemakers, culinary students and foodies will be delighted with the wide assortments. Aisles that are found by the right side of the mall carries a mélange of dining fundamentals like dinnerware, flatware, glassware, to houseware, crystals, pots and pans, condiments and consumables. MOK’s smallwares brands include world-class products such as Rak Porcelain, Athena, De Buyer, American Metal Craft, Table Craft, and Zieher. 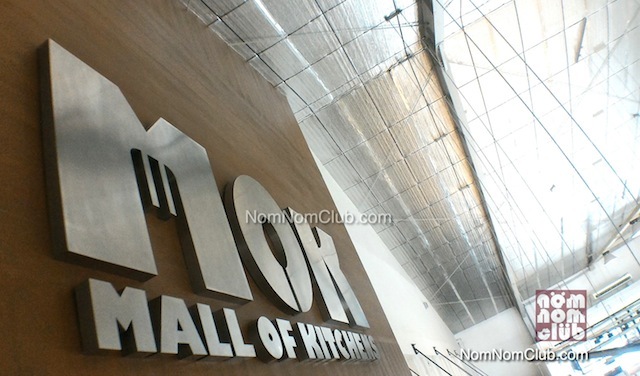 Mall of Kitchens is a division under Technolux, the country’s largest importer and supplier of a complete line of food service, small wares and laundry equipment for 41 years. Leading plans for further development, a program called the Technolux Business Series (TBS) will be pursued to deliver and provide business opportunities for existing enterprises and budding entrepreneurs. So, if you're opening a restaurant or food kiosk, whether fine dining or casual. 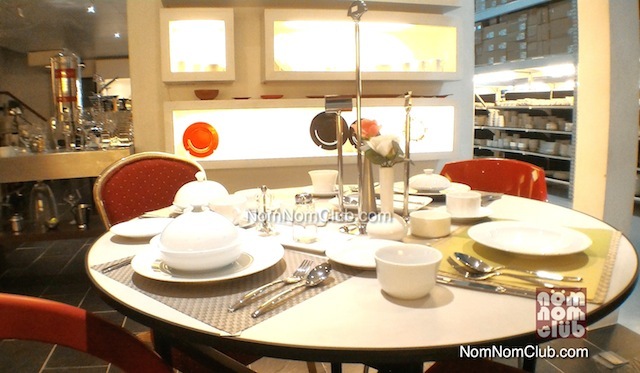 I recommend shopping at the Mall of Kitchen in Makati for their wide variety of kitchen appliances.